The PADI Enriched Air Diver course allows you to dive with enriched air blends of up to 40% O2 rather than just standard air. With this you get more time underwater exploring and enjoying your dive. This happens because enriched air extends your no decompression limits. We highly recommend this speciality for warm water diving, so if you are going abroad and want to maximise your underwater adventure then this is the course for you. 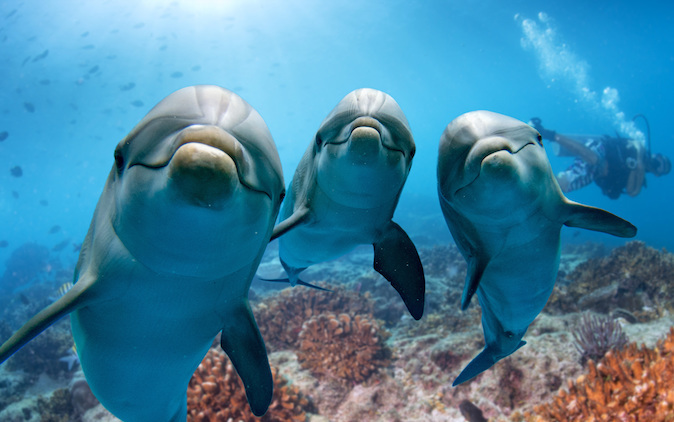 Let’s look at the maths: If you dive to 15 metres, your no decompression limit is 80 minutes on normal air; however diving on EANx36 gets you 220 minutes of no decompression time – an increase of 140 minutes, who wouldn’t want to do that? Enriched air is readily available from most reputable dive centres around the world (you should always check though before booking) so you can enjoy the benefits of enriched air while you holiday. 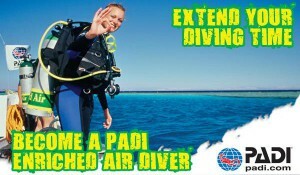 You’ll need your PADI Enriched Air Crew-Pak, which also includes an Enriched Air simulator card for your PC. You then read the manual, use the simulator and at our classroom session at our Lincoln Scuba School Office you will complete a practical session where we discuss dive planning, gas analysis, fill procedures, and look at tips for maximum enjoyment. You will then complete a final exam and you are off……………There is no diving to do to get this speciality it is all land based & only takes 3-4 hours to complete.